Tag Archives for " SEO for Growth "
Look around today, and you’ll find any number of pundits declaring that SEO is dead. SEO used to hide in the dark corners of the internet where practitioners routinely worked on ways to “trick” Google. Over time Google shut these dark corners down by getting better and better at delivering its one and only objective. 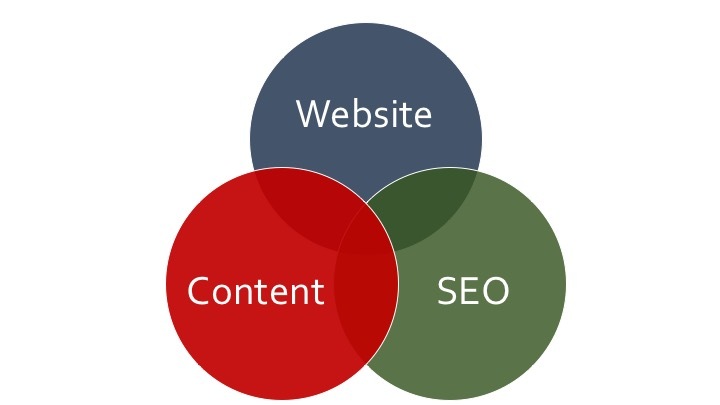 A lot of people think that SEO is about getting to page one on Google with the latest backdoor workaround, but search engine optimization, practiced effectively, is the art of helping Google or any other search engine deliver the most relevant, useful, and valuable content based on the intent of the query posed by a searcher. In the search game, Google makes most of its money by getting people to a page full of relevant, useful content and making it easy and productive for 3-5% of them to click on an ad on that same page. End of story. Content marketers, of course, get Google’s massive desire for high-quality content and are some of the first to proclaim that SEO is dead, but here’s the deal – Content without SEO is potential noise and a lot of work to produce. Marketers today must realize that the design of their website, their SEO, and their editorial plan must be viewed as equal and integrated strategic elements – it is the foundation of marketing today. The old way – hire a web designer to create something pretty, fill it up with words and pictures about your products, and then turn to an expert to get it SEO’d – no longer makes any sense and often leads to a marketing disaster – a very expensive website that doesn’t help produce customers. For me, SEO practices start before we ever think about the structure of a website or the content of site pages, categories, and posts. Keyword research, long one the bulwarks of the SEO industry, today, offers us so much additional insight. Keyword research allows us a deep look into the world of our ideal customer. It allows us to refine our definition of our ideal customer, better understand the problems they are trying solve, and intent they have when they turn to a search engine – all important elements in crafting our core messaging and designing our customer journey. SEO research further helps us define our most potent opportunities and competitive advantages of our online presence – and if that’s not strategy, I don’t know what is. Your SEO research is the key to helping you determine your editorial priorities. Effective content is less about brilliant writing and more about exacting relevance. Once you develop your SEO strategy, you can begin to construct the architecture of your site based on priority keywords and messaging that answers your prospective client’s biggest challenges. From there you can expand your content themes to create a complete blog posting, guest posting, and content upgrade calendar that practically guarantees that your website becomes the marketing tool you need to thrive online today. Of course, once you implement that strategy part a bit of on-page optimization, networking for links, and ongoing conversion optimization of things like your forms and calls to action will go a long way towards optimizing your entire online presence – and that’s the key to success in today’s online world. Let me leave you with this parting reminder – SEO is the art of helping Google or any other search engine deliver the most relevant, useful, and valuable content based on the intent of the query posed by a searcher. 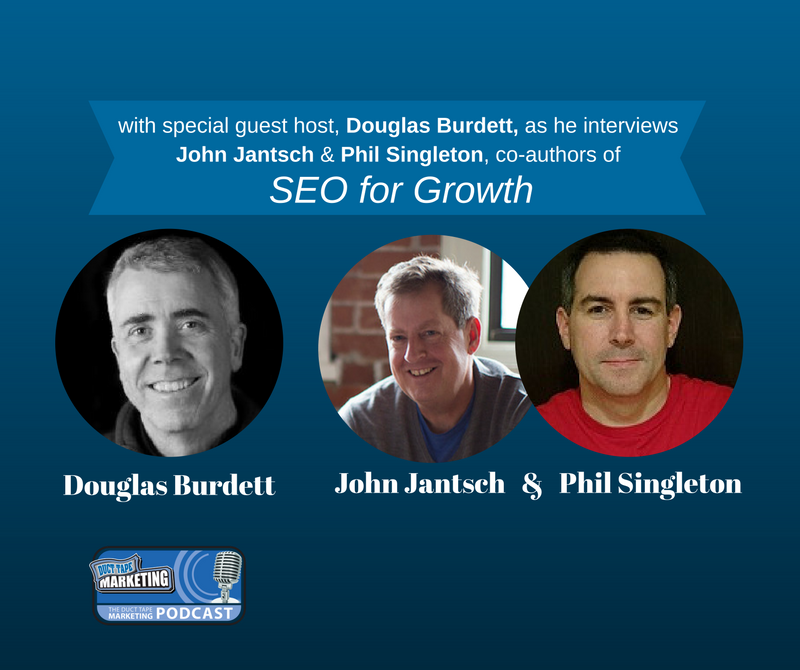 The topic of today’s post is the real reason that Phil Singleton and I wrote SEO for Growth – The Ultimate Guide for Marketers, Web Designers, and Entrepreneurs. If you want to get this part right, check out our SEO book here.